Adam Legg, a 30-year-old Naval veteran, found that he couldn't even get a job at McDonald's after returning from tours in Iraq and Afghanistan in 2009, according to ABC News. "When you feel like you can’t take care of your family, feed them, shelter them, it’s a very, very dark place. A feeling of uselessness that maybe they would be better off if you’re not around," Legg told ABC. 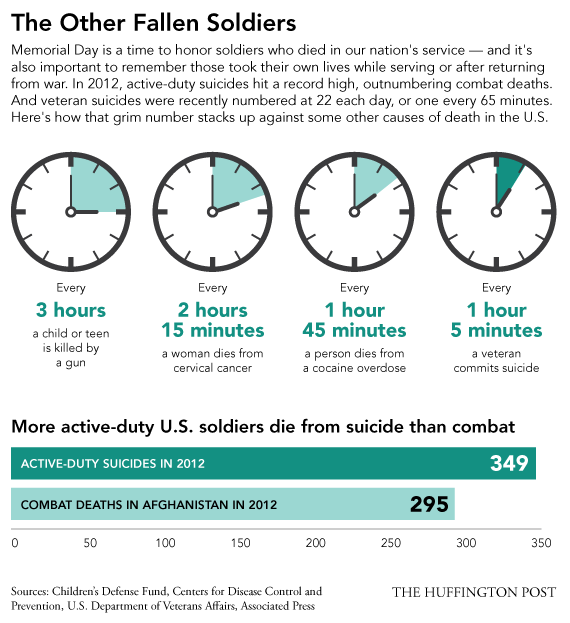 Some troops don't make it home before taking their own lives. Military suicides reached a record high of 349 in 2012, and former Defense Secretary Leon Panetta has described the situation as an epidemic.